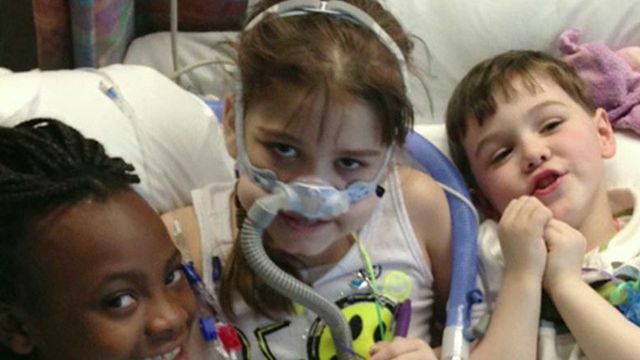 Recently in the news a girl was denied to be put on the adult lung donors list in Philadelphia. Then the decision was overturned by the court system to put this girl afflicted with Cystic Fibrosis on that same adult lung donor list. She went from having next to no hope to finally having some hope of getting new lungs as the disease ravages the lungs leaving them scarred and unusable. This horrible disease is carried through family genetics and those children it appears in have a shortened life span. But with new medicines and transplants the lives of those who it effects can be prolonged for many many years. In recent days as this story unfolded the family celebrated the reversal of the initial decision. Taking politics aside, the life of a child even with the high risk of surgery and rejection of the organs means everything for just more time to live and breathe. Now today, Sarah Murnaghan who is 10 years old will be getting new lungs. Her name was on the list and it was called. No one knows if this will be successful, I pray that it is, but as a parent of four children myself, I would want to know that my child is given every opportunity to survive an ordeal such as this! Any parent would fight for their child in the same way as Sarah’s has!! Spiritually speaking, everything in this life is a gift from God…even more time! I don’t pretend to understand what her family is going through or the long painful journey that they have already been on, but I do know that we serve a God who cares and ultimate will heal us all. Life, regardless of illness and disease is terminal. I know what your thinking, that doesn’t sound very uplifting. True. But in the grand scheme of things we all know that some day we too will face that veil that separates us from life and death. I have held the hand of dying people, I have been in the room of those who have breathed their last. I have performed funerals for families and their dearly departed. What I do know about this life is that we all long for more time. We all want to linger with our lost family member for one last time. What I also know is that life is so precious and it is a gift! We ought to celebrate every moment that we are alive here on Earth, but also know that this physical life isn’t the end of it all! I am excited for Sarah Murnaghan and her family. I pray that she pulls through this impending surgery…illnesses and diseases of all kinds are horrible, let alone to those children who are afflicted by them. I pray that she heals, and that she gets to enjoy breathing without pain once again! Do you serve a God who heals? I do. Even if that healing becomes an ultimate one, I know that there is life beyond the grave! What a celebration we will all have one day when we see family members who have gone on before us! In the mean time, relish life…live it fully and celebrate it with a God who desperately wants to be apart of yours! We have this one life, we have to decide what we’re going to do with it! Don’t let it slip through your fingers and come to the end of your life and face regrets. Celebrate, relish, and live! Next Post Sad News: General Bond to Retire.